Today was a very exciting day because it’s my blog’s anniversary. I’ve officially had this blog for two years. In that time, I’ve gotten over 150,000 views! I’m excited that so many people are viewing my blog, and I hope that everyone is enjoying the recipes. 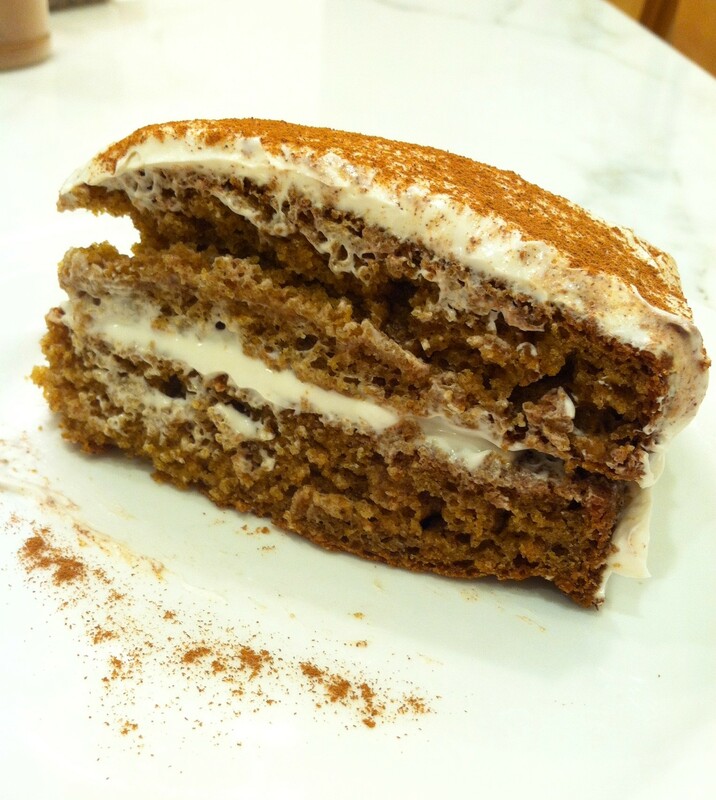 To celebrate, I have a new recipe for a gluten-free, vegan pumpkin cake with maple cream cheese frosting. This cake is delicious, moist and fluffy with a sweet frosting. The cake has a great texture and is a hearty fall dessert. Preheat the oven to 350 degrees Fahrenheit or 175 degrees Celsius. Start by making your cake. 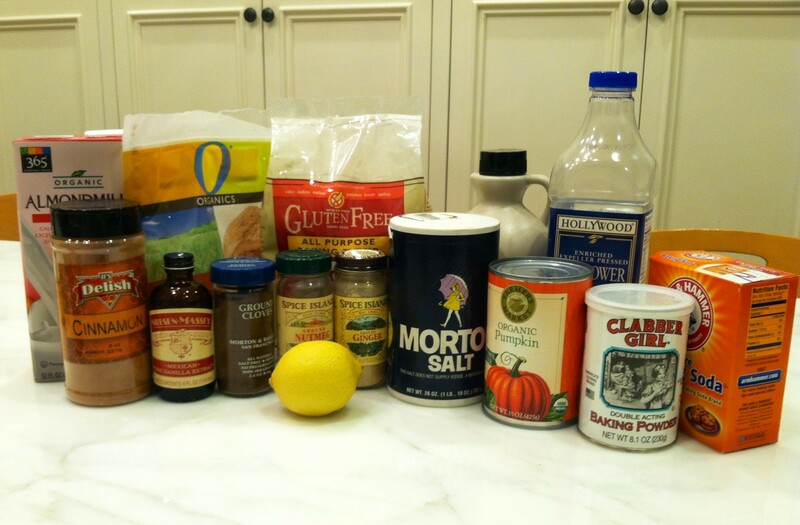 Put all of your dry ingredients into one bowl and all of your wet ingredients into another bowl. Then add your wet mixture to your dry mixture. Mix thoroughly. Spray your cake pans and then pour your cake batter into two 8″ round pans. Place in the oven to bake for about 30 minutes or until a toothpick comes out clean. You can make your frosting while your cakes are baking or while your cakes are cooling. I cleaned up while my cake was baking and then made mine while the cakes were cooling. 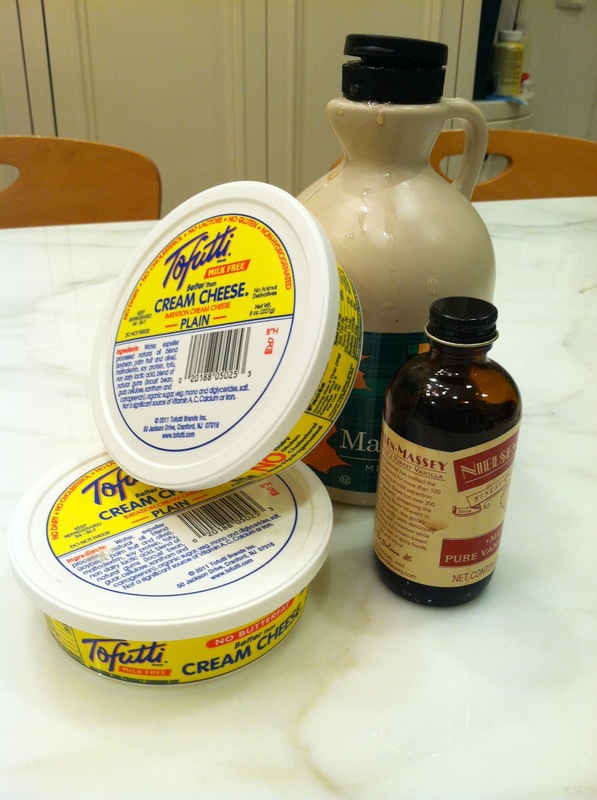 In a medium-sized bowl, combine your two containers of vegan cream cheese, maple syrup and vanilla extract. Mix thoroughly until your desired consistency is reached. I used Tofutti cream cheese. I like the taste of it and it gives a nice smooth texture for the frosting. When the cakes are cool, you can ice them with your maple cream cheese frosting. I dusted my cake with cinnamon after I was done frosting the cakes. 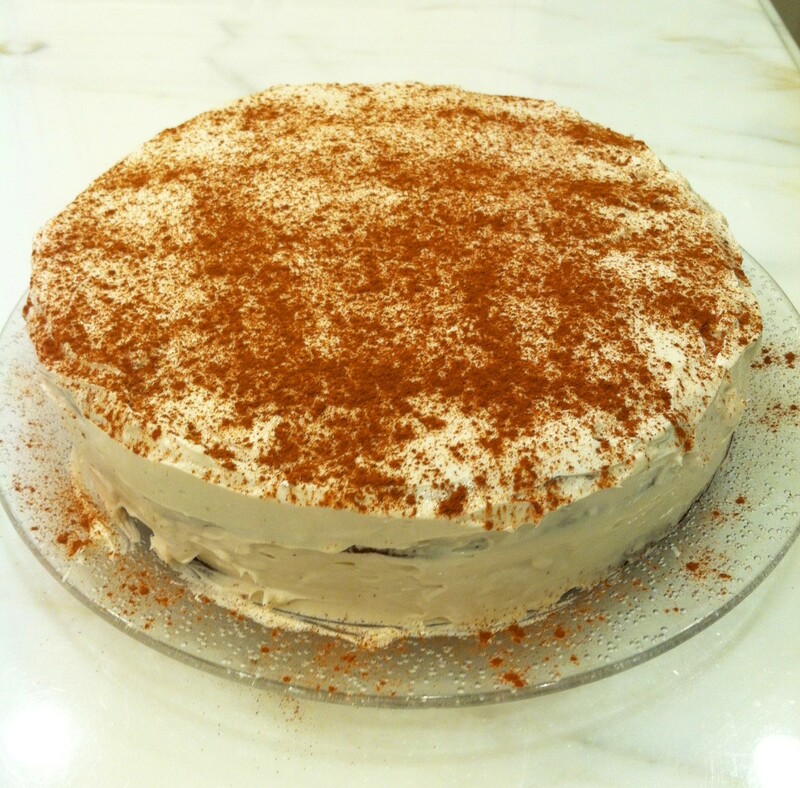 After that, you are all done and ready to enjoy your vegan, gluten-free pumpkin cake with maple cream cheese frosting! The nutrition facts are based on 12 equal slices of cake. One slice of cake has 249 calories and 12 grams of fat. It also has 77 milligrams of potassium and 3 grams of protein. One slice of cake will provide you with 32 grams of total carbohydrates, two grams being dietary fiber and 13 grams being sugar. This cake also contains several vitamins and minerals. In terms of vitamins, you’ll be receiving 12% of your daily vitamin E and 48% of your daily vitamin A. In terms of minerals, you’ll be receiving 3% of your daily iron, 7% of your daily calcium and 27% of your daily manganese.